Since Vishwas played a vital role in AAP's campaign during the Vidhan Sabha elections, if he campaigns for BJP in the polls, it will be a huge asset, said sources. 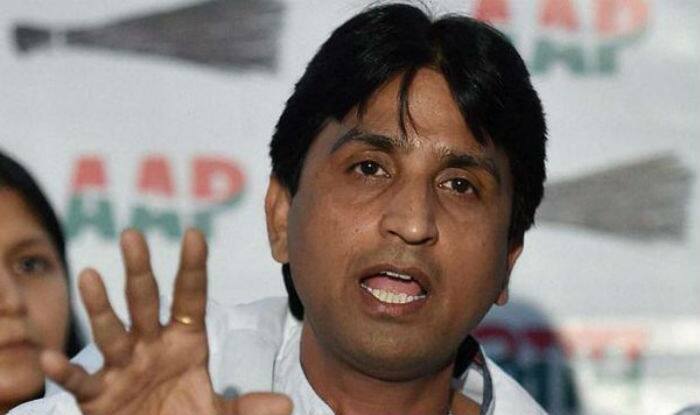 New Delhi: Aam Aadmi Party leader Kumar Vishwas is likely to campaign for the Bharatiya Janata Party (BJP) in Delhi for the upcoming Lok Sabha elections, stated sources. Further, the BJP might even grant Vishwas a ticket from the East Delhi parliamentary constituency as he is a good orator and is capable of holding the crowd captive with his wordplay. On Monday, Vishwas had a meeting with Delhi BJP chief Manoj Tiwari where he reinstated the necessity of another meeting to put things in perspective, added BJP sources. During the Vidhan Sabha elections, Vishwas played a vital role in AAP’s campaign. Thus, if he campaigns for BJP in the polls, it will be a huge asset, said sources. Vishwas has regularly been gunning for AAP and Chief Minister Arvind Kejriwal. The rift widened last year after AAP denied him a Rajya Sabha nomination. Then, Vishwas was quoted as saying that he was being punished for speaking the truth. Apart from Vishwas, Haryanvi singer Sapna Chaudhary is also likely to campaign for the saffron party in Delhi. On Tuesday, amid continued uncertainty over the tie-up with Aam Aadmi Party in Delhi, Congress President Rahul Gandhi said that his party was open to stitching alliances across the country and was “very flexible” on the issue. “There is no confusion on this. The situation is actually very clear on this issue. We have constructed alliances. We have been open to constructing alliances and we have done it across the country. We are very flexible on this issue,” he told reporters when asked about the Congress’ stand on its alliance in Delhi.